What Problems Does a Humidifier Solve? Home » What Problems Does a Humidifier Solve? Have you ever had to suffer through one of those really harsh winters without a humidifier? The kind where the air is so dry your knuckles literally crack open? The dry air can wreak havoc on your skin, causing you and those around you to suffer. At Sanders and Johnson, Inc. Heating and Air Conditioning we provide Denver, CO air quality control. So when you’re looking for a trusted hometown company providing heating services, call us today at 303-422-6606. We’ve provided the Denver area with honest work for honest prices since 1977. Why Should I Worry About Air Quality Control? Although most people love the snow, the colder temperatures can cause your skin to dry up and crack. With the dry winter weather approaching, you’ll start to notice several conditions that are caused by lack of humidity in the air. You can live healthier by adding moisture to your air with a humidifier! Frequent sickness — Does it seem like you somehow get the flu every single winter? You could be suffering from a lack of humidity. Denver, CO air quality control can help you stay healthier this winter. With proper levels of humidity in your home, you could slow the spread of airborne viruses and bacteria and relieve your allergies. 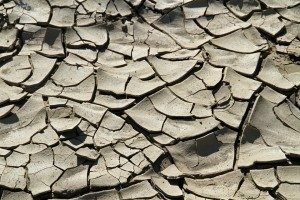 Cracking skin — The cold weather can cause all kinds of nasty conditions, but the number one problem people suffer from is dry skin. This can cause everything from a mild discomfort to painfully cracked knuckles that bleed. When you’re looking for relief from the dry air, call your trusted hometown experts at 303-422-6606. Home damage — The condition of your home is something most homeowners take for granted. Just like your body and skin, the dry conditions can damage your home, causing wood floors, picture frames, and even door frames to dry out and shift. If you’re looking for exceptional Denver, CO air quality control, make sure to call Sanders & Johnson. We value each and every one of our customers, and will never try to talk you into something you do not need. Give us a call today at 303-422-6606 for your free installation estimate. Contact Us Today!